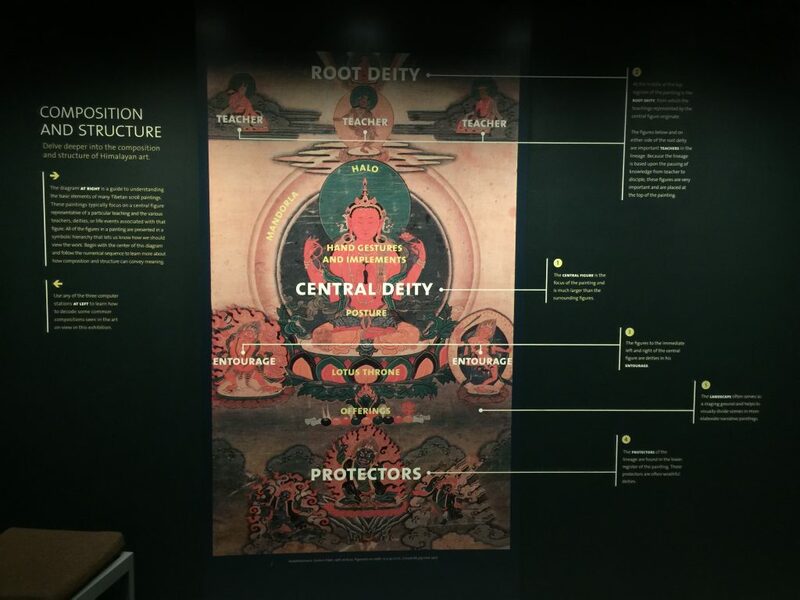 Inspired by Sacred Spaces, the exhibition held in the Rubin Museum of Art NYC, which explores the soundscapes of the Himalayas including their winds as well as the soundscapes of the most high located buddhist monasteries, I decided to take further the concept presented by the exhibition and explore a few sound concepts that are shown in the world today. As a manner of execution I am also including the concept of sampling. The reason is that thanks to the advancement of sampling technology, we can experience the perception of this sounds without leaving home. 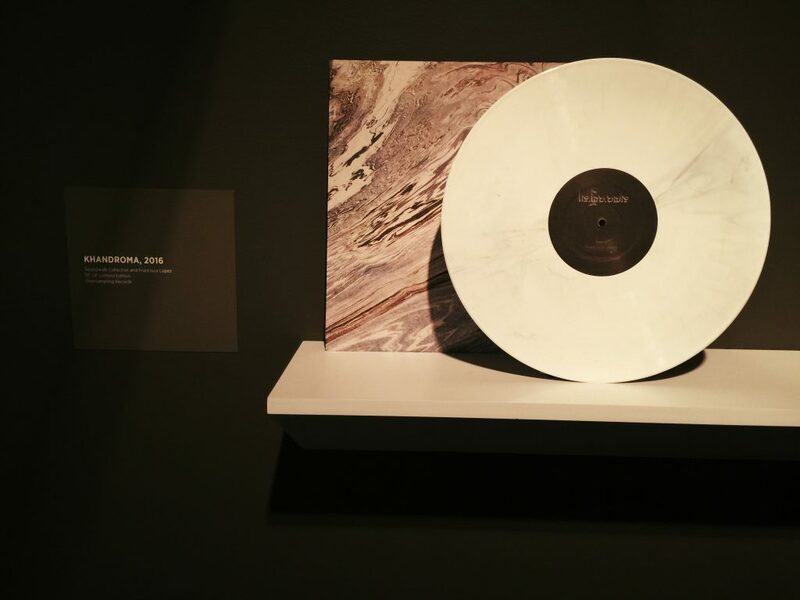 In this journey we will explore not only what this particular exhibition offers, but also how the world sounds and how the people of the world transmits music. During my visit I did some sampling myself in order to capture the sounds presented in the exhibition to share with you. 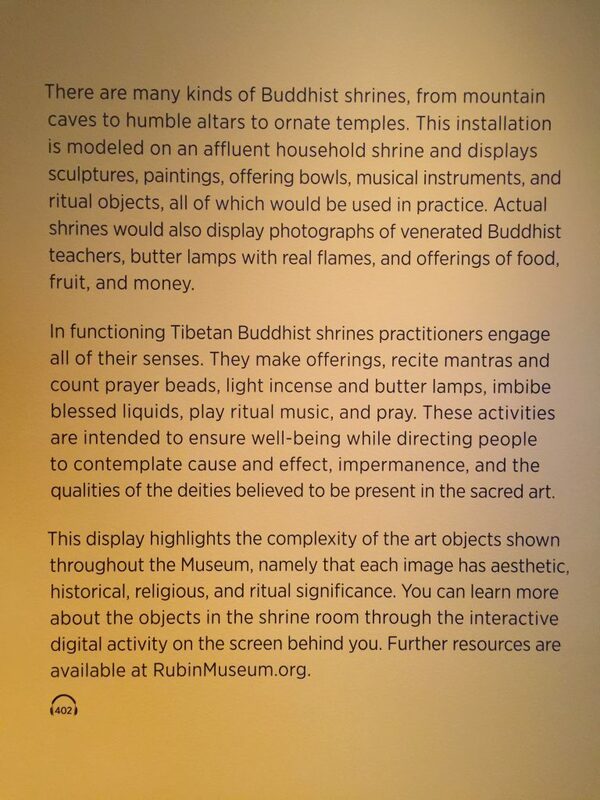 Not too much to see on the forth floor of the Rubin Museum, but a lot to sense. There are 4 different spaces that offers these recordings in order to sense them differently. The first one is a hallway with 2 screens projecting holograms. They have seats and headphones for people to sit, listen and watch while entering in a estate of meditation. At one end of the hallway there are 3 turntables with headphones for people to listen the recordings in vinyl. The next room is a the shrine room. 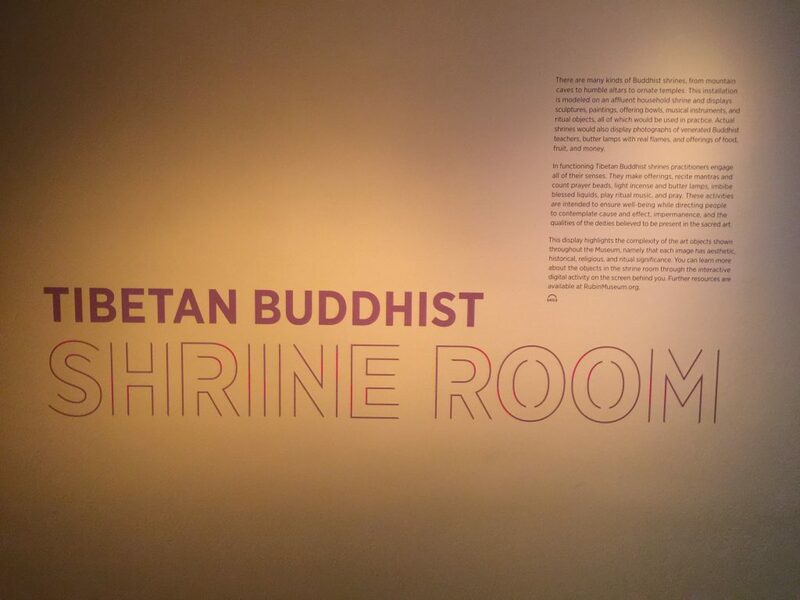 This space was conditioned with elements of a buddhist prayer room. The sounds played there are the monastery sounds recorded in the Himalayas. The experience is interesting knowing that by only listening I felt cold. Maybe the sound makes that effect but it surely drives the senses to explore something different. 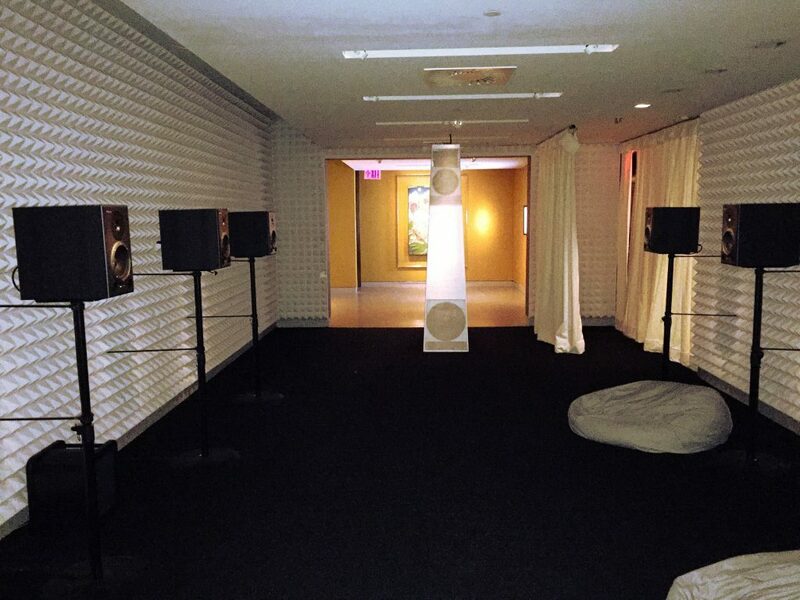 The most important part of the exhibition is a sound room conditioned and structured to play the sound recordings with sound proof capabilities. It offers 2 tower speakers one at each end and in between there are several studio monitors side by side playing the wind sounds. The main speakers play the soundscapes focused on closed spaces whereas the studio monitors play the open soundscapes environment. I managed to collect high quality samples from these devices thanks to my Zoom H6 Recorder which offers top professional quality sampling. 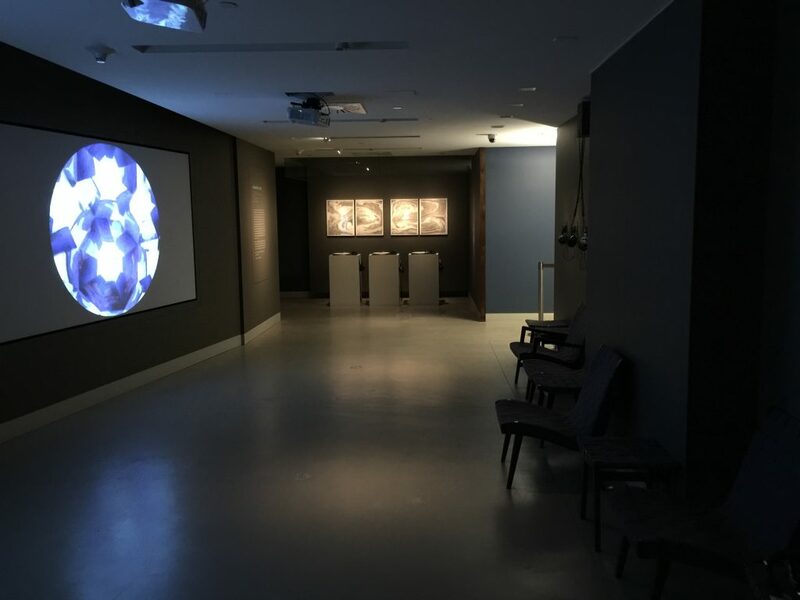 This last sample of the exhibition was recorded while I walk thru the room side by side. 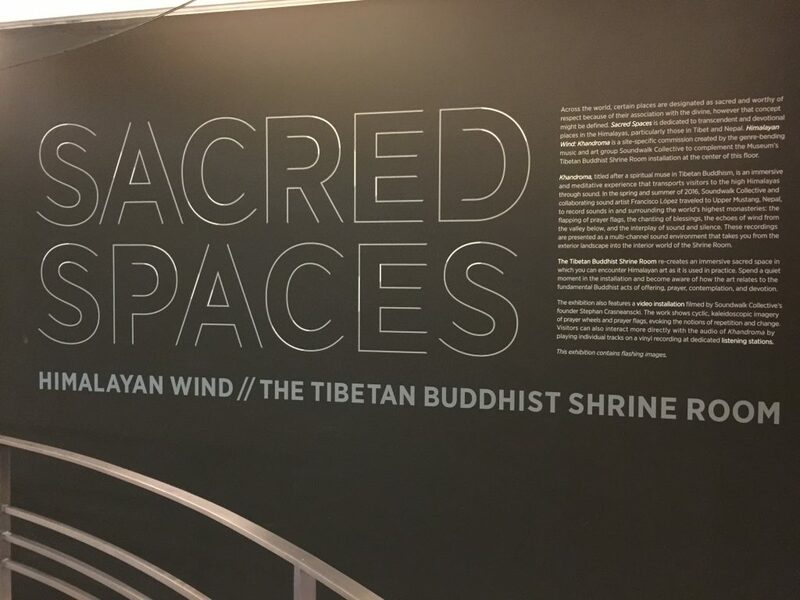 Although the exhibition name is Sacred Spaces, the soundscapes recordings relate more to open spaces rather than sacred places, that is why I think the title is not completely accurate and its more relating to religious disciplines such as meditation or yoga. 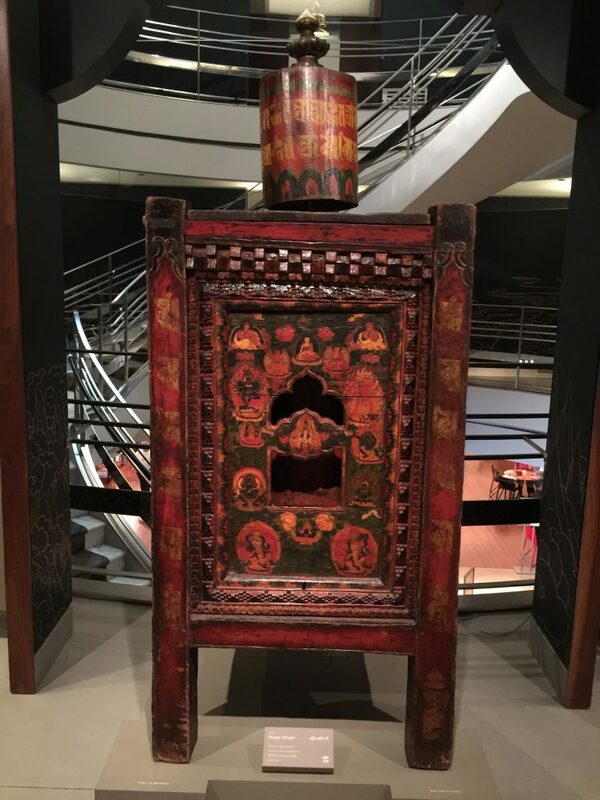 On the bottom floors of the museum there are exhibitions with more visual content focusing more on the sacred aspects of these asian cultures. 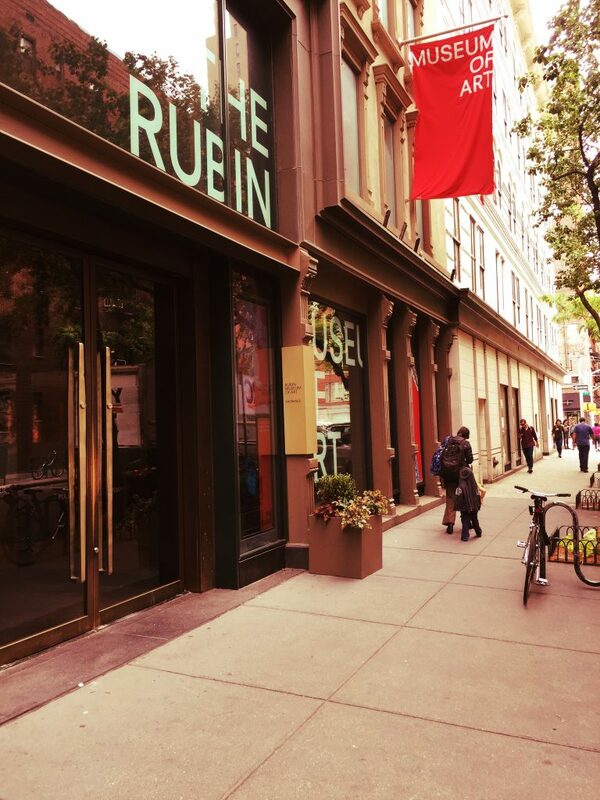 The world is a fascinating venue full of color and variety. People around it have different beliefs, credos and rituals. However, the all have one thing in common and that is music. This is an important element for every human being because it’s a way of expression. 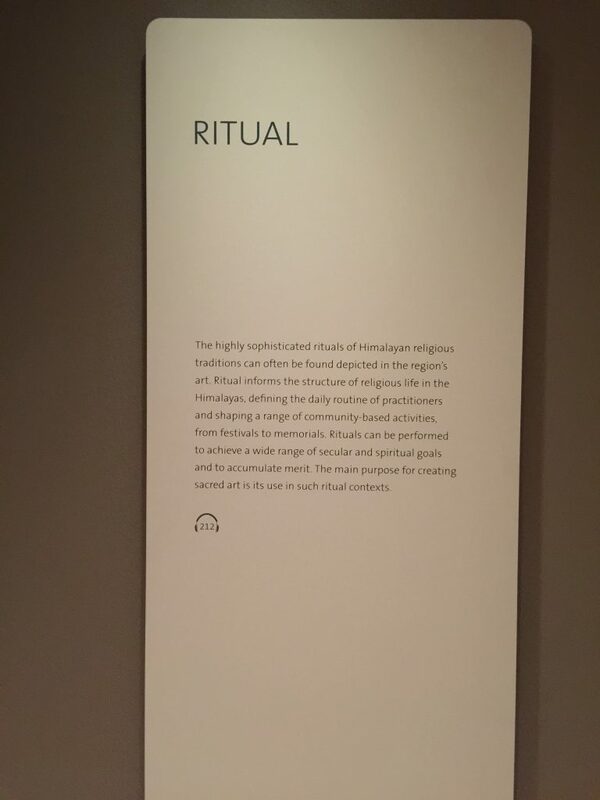 There are different religious practices and there are different sacred sounds. 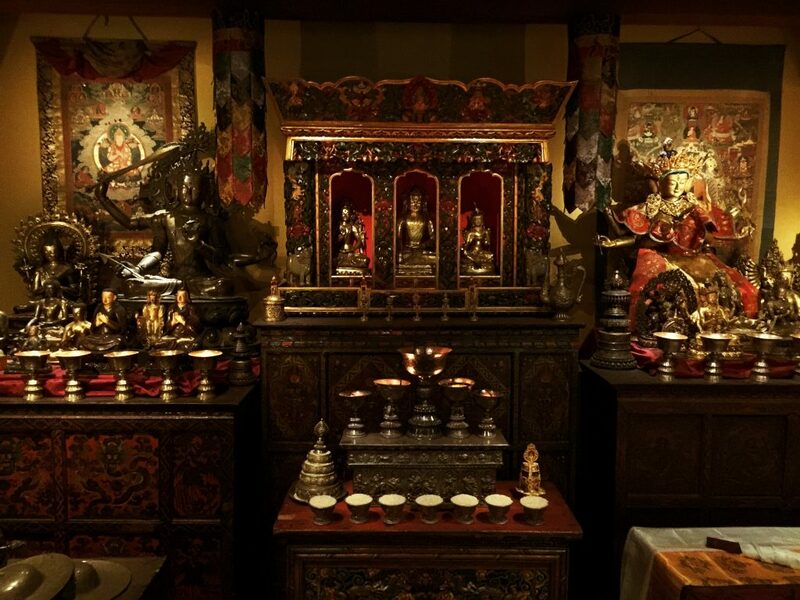 In this section, we will explore some of the sacred sounds around the world. How people sing or chant their sacred music in order to worship what they considered divine. First of, in North America, the Native Americans chant their war and tribal chants. The following audio was sampled from an original Native chant in the United States. Moving next to South America, more exactly Peru, a Quechua song worshiping Pachamama of the goddess Earth. The accompaniment is not part of the traditional ritual, but is was adapted in modern rituals. Heading East to Europe we can find the Gregorian Chants and the Mystic Songs of the Roman Catholic Church. Moving South to Africa, the Protestant Church reaches several parts of the continent, forming choirs of worship to Jesus. In Malawi Africa a traditional tribal chant sang by a girl. Moving to the Middle East an Israeli woman sings a traditional Jewish Psalm. We will end this sacred journey with a sacred mantra. Our next journey explores how people sing around the world. Popular music differs in cultures according to customs and languages. It is amazing how music sounds different as we move from place to place, maintaining and interest and admiration. All the music around the world is wonderful. Let’s begin at the Caribbean with a Jamaican reggae. This excerpt contains the first half with only vocals and the rest with the accompaniment. Please focus on the vocal interpretation since this study is focused on vocal interpretation and soundscapes. Moving to the Alps in Europe where the Swedish Yodel their famous folk music. In Bulgaria a traditional folk song. A beautiful traditional Ukrainian waltz. In North Africa, Algerian hip hop artist and rapper sings a popular Algerian hiphop song. Moving South to Cameroon a popular song with a Bossa feeling. In Guinea, a traditional song. Moving to Asia, a Turkish chant. More to the Middle East, an Irani chant. At the Northside of Far East Asia, a Mongolian quintet performs a traditional piece with drones and vocal percussive effects. Moving South to China a duet performs a traditional piece. Southwest China, a Balinese traditional song performed by Philippine singer. 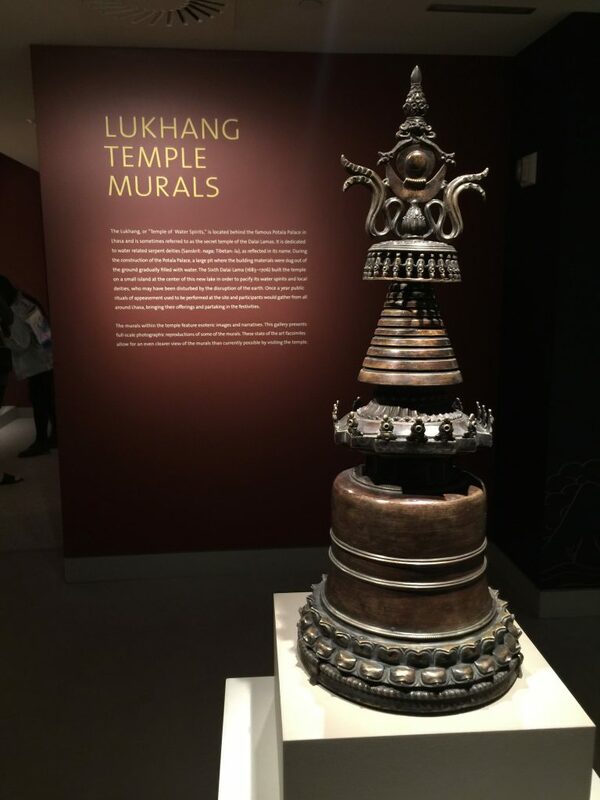 This was a journey of sound and music exploration focusing on the soundscapes from places considered sacred. Then there was an analysis on how people uses music to practice religion and worship, ending on an exploration of traditional and popular music in around the world. Now we will end exploring 4 different soundscapes that are almost impossible to reach. Welcome to Geosonics. Geosonics is a sample library developed by English company Soniccouture. This library offers a huge library of samples recorded by one of the world’s leading recorders of wildlife and nature, Chris Watson. The first soundscape is ice and water. This particular example was recorded in the Icelandic glaciers south the North Pole. Secondly, we will move north to the North Pole to catch the sounds of the polar winds. In contrast with the freezing weather, this next soundscape was sampled in the humid swamps of Africa. The notorious sound in this example are the African frogs. Finally, in the dangerous Australian Outback there is a system of wires of interconnection, This example shows how the wind hitting these wires make a particular sound. 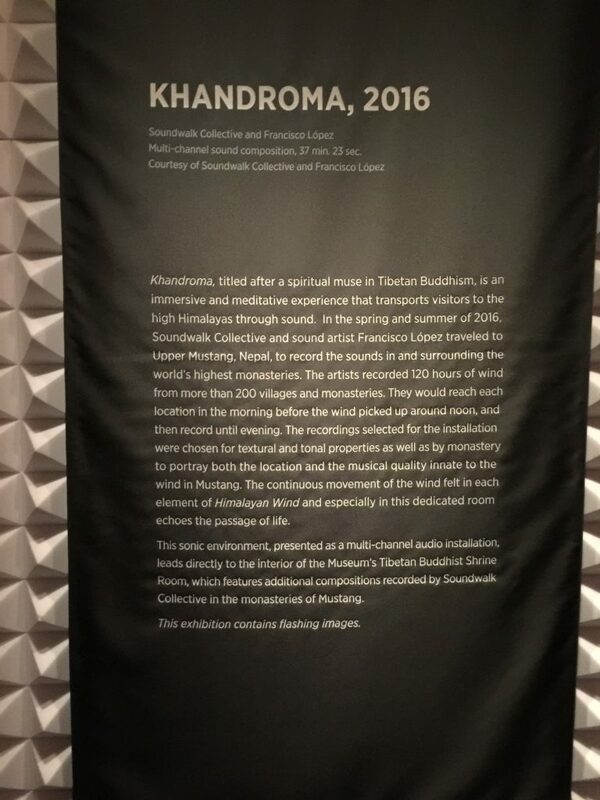 This exhibit at the Rubin appears to be a great example of how sound is increasingly regarded as an important part of an experience, equal to the visual. 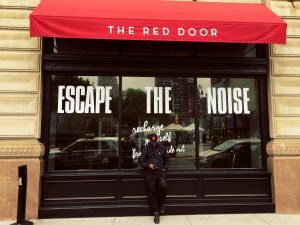 Of course, that hasn’t always been the case, and the work of soundscape artists has certainly helped make us aware of the sounds, just as much as the sights in any environment! This is a wonderfully media-rich presentation and personal reflection on this art. What I’m also struck by is the potential employment opportunities for sound artists and “curators”, akin to what art historians do in museums today, making selections for visitors that invite exploration and new insights into some realm of the visual arts. 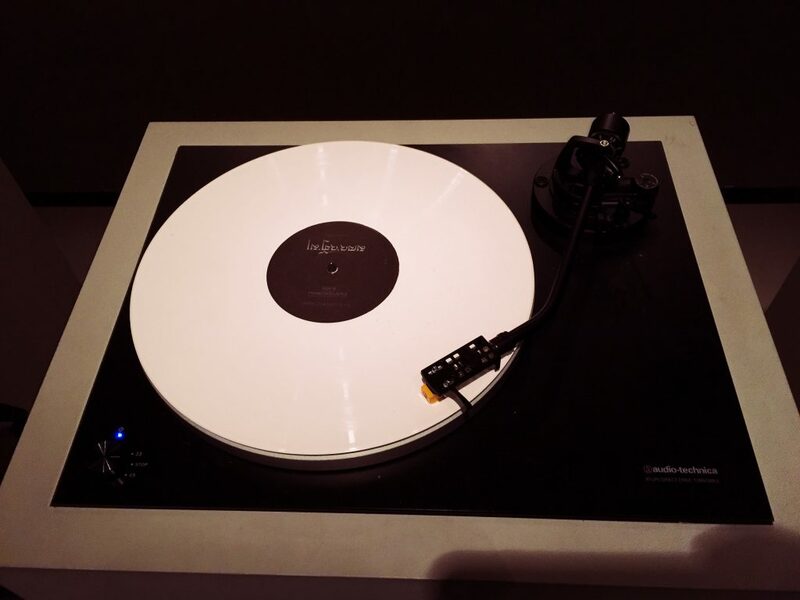 It seems that with technology, we are permitting sounds into that space, and I would think there will more opportunities for musicians to work as curators of the audio experience in a similar way. That is an interesting observation, and yes I agree, it is necessary to include sound as part of history and science not only to study its functions but also to interpret what it says.